NGM Italia is the Italian market leader in the production of Dual SIM mobile phones with a wide range of products to match the tastes and different needs of a vast and varied audience. Our broad and diverse range puts models with cutting edge multimedia functions at your fingertips, including Bluetooth and USB-OTG, dynamic connectivity 3G/4G, GPS and A-GPS. Everything is marked by a compliant personality, from a typical Italian style and a series of value added services to meet the needs of the customer. Our product offerings cover all price ranges in the market. We were born as global OEM producers in 2003 by selling telephones in the Far East countries (excluding China) with the most important carriers and phone brands. 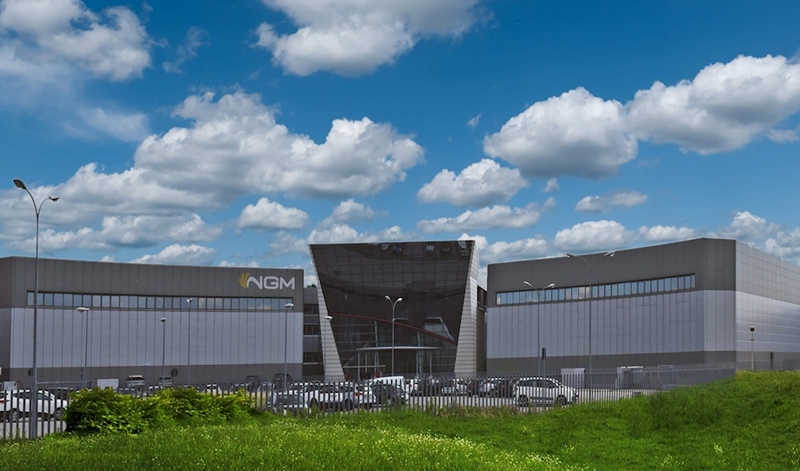 In 2008, NGM launches its own brand in the Italian market, offering cell phones with highly innovative contents and managing 2 SIM cards simultaneously. At first, we developed Dual SIM phones with DSFA technology (Dual SIM Full Active), capable of handling two SIM cards at the same time, even during the conversation. Then, we introduced DSDS technology into our products (Dual SIM Dual Standby), that lets you manage two SIM cards simultaneously only in stand-by mode. The latter is a solution that enables Dual phones to be more compact and less expensive. Today, we draw and design our products in Italy and we assemble them in factories located in the East. Moreover, we re-sell our plans/drawings to other foreign companies, which then sell the resulting phones with other brands (operators and others) in various overseas markets such as the Philippines, Indonesia, Korea, Vietnam, Thailand, India, Pakistan, Russia, the United States and Mexico. In the European market, all our projects are exclusively marketed under the NGM trademark or in co-branding with mobile operators. We want to be a growing company that is distinguished by its innovative and exciting products for a curious public, that is rich in imagination. Privacy and personal data of the customer are values in which to believe and invest. For this, our products are distinguished by advanced features for privacy and security. For the design, we operate in an extrovert, original, creative and courageous way. The result should be a product capable of affecting the daily lives of our customers by infusing vitality and energy. The goal is to give body to what the customer requires from us, using what the technology allows us, working in the manner that we are most passionate about. We want to be present but not pushy, known but not granted, credible but not unreachable, exciting but not excessive. “Le mieux est l’ennemi du bien” (Voltaire). Every day we face problems and try to deal with them successfully. Every day we try to obtain results; if we don’t succeed, we will not be discouraged and seek the cause of failure. Every day we strive to recognize the competence as the basis of the ability to influence. Every day, we try to constantly improve the workspaces, socialization and education. Every day we take a pride in working well to situations that constantly change. We make every day as an everyday-day: full of ideas and at the same time exciting, never common or banal. We go on creating ideas, designing mobile phones that will simplify the life of those who use them, have a pleasant appearance, a reasonable cost, follow the growing needs of privacy and security and can withstand weathering. . .
For this reason, our commitment is to have several product families to cover the largest possible number of requirements. To reach this objective, NGM has chosen the way that allowed maintaining its identity and freedom. Freedom to create and to reinvent oneself, without conditionings by must-be winning models. Freedom, identity and knowledge: because we want to be appreciated for our actual skill, because our ambition is to make the difference with the ideas that we propose. “To be the master of your own destiny” is an expression that is being used far too often in our days: we prefer thinking about our role as that of collaborators, pastors, accompanying fate so it can evolve to our liking. To contribute, in our small way, to make the world a better place for all, because we are convinced that people can be better than they believe. We support in our intent with the 4 Points-practice: Repetition, Reference, Story and Strengthening. The magical value of repetition reduces anxiety, activates and accelerates the force. The reference to famous stories and respected heroes makes us better and more empathetic people. The story telling is the crucial moment to make sense, to give wings to the myth. Without stories, there is no horizon, no vision of the world, no change. The strengthening of your own level of awareness and confidence is the final moment, but not the least important: by strengthening we can grow the self-esteem and the respect of others, and act as more useful and free people. Strive to help others to be better and not to be afraid to take responsibility for your own happiness.